Find out from Kate Bischoff, an experienced employment attorney, the right way to let your employee go. Most of us know the uncomfortable situation, where an employee is disrupting your team, failing to meet their goals, or lacks key competencies. 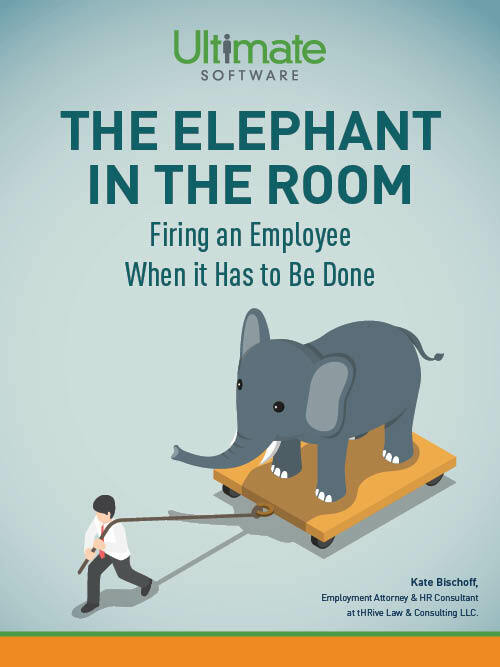 It's the elephant in the room, you have to terminate one of your employees. No one likes firing an employee, but unfortunately it is a necessary part of business. Going into a termination without a plan can mean the difference between an amicable separation and legal implications, so it's vital that you and your managers get it right. In this guide, Kate Bischoff takes her years of employment law experience to provide a comprehensive plan for letting an employee go while holding on to your professionalism in the process.